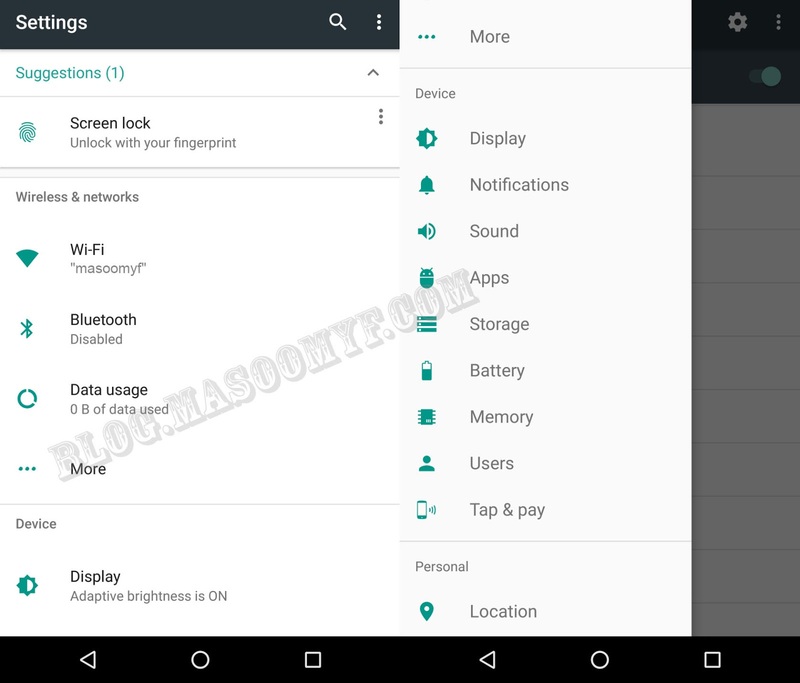 Google Android N (7.0) developer preview released, and its features out. Surprise for developer and Android lover that Google released developer preview of upcoming android version, code named as "N". This is the first time ever that the engineering hulk broke from its custom of releasing new versions of its popular mobile operating system Explaining the rationale behind the move, Google’s SVP for Android, Chrome OS and Chromecast, Hiroshi Lockheimer, wrote on Medium, "By releasing the first preview and asking for your feedback now (in March! ), we’ll be able to act on that feedback while still being able to hand off the final N release to device makers this summer, so they can get their hands on the latest version of Android earlier than ever. Plus, you’ll be able to use this additional time to support all of the new goodies in N in your apps." Nexus 6P (2016) and Nexus 5X (2016) – or whatever they will be called this year – will be coming a little earlier than expected too, as the new version of Android is always presented alongside new Nexus devices. The Nexus 4 was announced on October 29, the Nexus 5 on October 31, the Nexus 6 on October 15, the Nexus 5X and 6P on September 29. So we might even see this year’s Nexuses earlier in September rather than the end of the month if the progressively earlier announcement dates are anything to go by. Now Android OS supports multi windows. Developer should update their apps and add supports to multi-window and set the minimum height that upto app can consume. This features is same as multi threading at Desktops OS. Its give the same look as when Youtube's video get minimized by the user. This will make a coolest look ever. Setting Menu re-inflated by Addition of a Suggestions drop-down section at the top and removal of the individual section dividers. One of the best changes though is that you can now see basic details of each section in the main Settings menu. So, for example, rather than have to enter the Wi-Fi menu to see which network you’re connected to, Android N displays that information in the top-level settings menu. It’s an obvious time-saving idea and is kind of surprising it has taken this long to appear. Sound and Notifications have now been given their own dedicated sections too, rather than being grouped together like in Marshmallow. Reply from Notification is new option for android. You’ll now see a thin strip of toggles at the top of the notifications shade for frequently used things like Wi-Fi, Do Not Disturb, battery and the flashlight. Some of these can be toggled on and off directly, while others will take you to a sub-menu (long-pressing the flashlight will launch the camera). A small arrow at the right hand side will open up the full Quick Settings panel. Quick Settings is now paginated and you can edit which icons appear at the top of the notifications shade and Google has added new System UI Tuner options for Quick Settings like Night Mode and offered developers the ability to create their own custom Quick Settings icons. Google promises improved battery efficiency with Android N. The company introduced 'Doze' in Marshmallow, which puts the device into a sort of sleep mode when lying idle. In Android N, Doze will also work when your phone or tablet's screen is off. Google is also working on Project Svelte, which aims to reduce the memory needs of Android devices. This, Google says, will help the OS power a much broader range of devices. Change the display size on your device, also known as changing your display’s DPI setting. Simply go to Settings -> Display > Display Size, use the slider to change display size. 7. App optimization make app faster than ever. Following the switch to Android Runtime (ART) in Android Lollipop from the decrepit Dalvik runtime used in lesser Android version, some users have become tired of the amount of time it takes to optimize apps following an Android update. Upon first boot, the ART optimizes all apps using Ahead-of-Time compilation (whereby apps are compiled once – at boot – and then effectively launch faster from there on out). In Android N however, things have changed again. Now, rather than at first boot, apps are compiled Just-in-Time the first time you launch them and are then stored in memory for faster launches next next time. This means faster reboots every time. Yes, Android N brings in the much-awaited 'Night mode' feature. and users will be able to activate the mode automatically by time or location. Keep unwanted calls out of your mobile phone and call screening will make things a bit simpler for you whenever you want to take it a little easier. Call screening allows the device to recognize numbers better and perform certain actions instead of blocking altogether. Google also said that with Android N it brings Java 8 language features to Android. This means users can use popular Java 8 language features, including lambdas and more, on Android versions as far back as Gingerbread. Following a sticky situation with Oracle over “rewritten” Java APIs , Google will officially be making the switch to OpenJDK in Android N. It’s still Oracle code, but OpenJDK is, as the name, suggests, part of the open-source Java Development Kit. As Google confirmed: “we plan to move Android’s Java language libraries to an OpenJDK-based approach, creating a common code base for developers to build apps and services.” The only change should make development for Android N that much simpler. 12. Doze Mode get accelerate. Doze features a two-tier system. The first operates whenever the screen has been off for a while, whether your phone is stationary or not. This means you can now enjoy the benefits of Doze Mode anytime your phone is not being used, even when it is in your pocket or backpack. The other layer of Doze Mode works as before, but with some more improvements. When your phone is lying still, it will enter a deeper hibernation mode, deferring network and other activity until widely spaced-out “maintenance” windows before slipping back to sleep.